The Italian, through social networks, challenges Dovizioso and Petrucci to a motocross race to see who is fastest on the earth. With the new course just around the corner, the pilots squeeze their last days of vacation, although not rest. 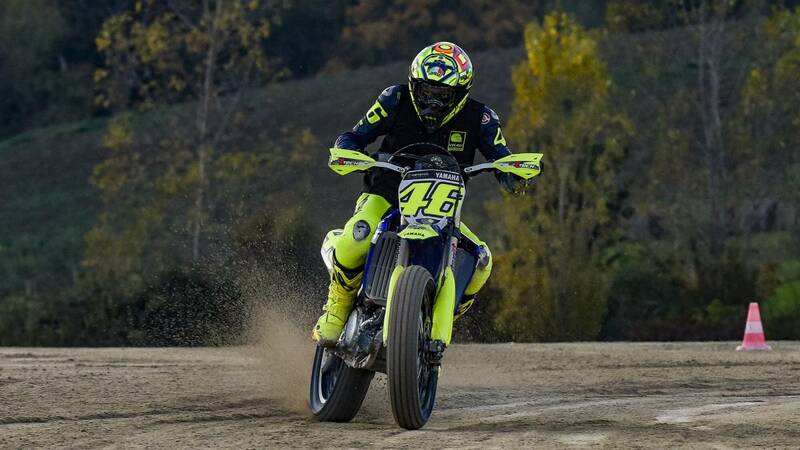 Most of them, except for those who have been recovering from their injuries, have not wanted to get off the bike either in winter and what looked like a photo that reflected one more day in the life of a pilot, has become all una attraction with the entry of Valentino Rossi. Era Petrucci who immortalized on 'Instagram' the summary of a motocross day with his new team-mate: "Beautiful day today with Andrea Dovizioso and it's always nice to see Alessandro Polita again" . Everything could have been there, however, among pilots are always "attentive to what others do" as recognized by the Doctor and his curiosity, had to be resolved: "Who is stronger with the crossbike , you or Dovizioso? . " Valentino launched the question and Terni replied: "It's a beautiful battle, we should make a super challenge all together." The nine-time world champion nodded: "Come, let's do it once" . The Tavullia is passionate about this discipline and was not going to refuse a motocross day with his compatriots who, on other occasions, has already shared alongside other riders such as Márquez or the members of the Academy in his Rancho. If it were to happen, the scenario of this meeting might not be within Valentino's comfort zone, but the desire is on the table. Now it just needs to come true.